A former priest has denied sexually abusing a boy more than 20 years ago. 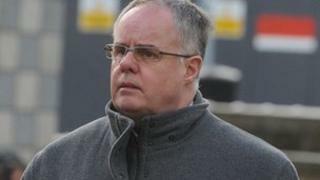 James Martin Donaghy, 54, of Lady Wallace Drive in Lisburn, pleaded not guilty to four charges of indecent assault and one of common assault. These were alleged to have happened on dates between 1 January 1989 and 5 May 1989. The boy's age was not disclosed and no details of the case were given in court during the short hearing. Defence barrister Eugene Grant and prosecution lawyer Amanda Brady told the court there were numerous legal applications to be dealt with before the case came to trial. They estimated that any trial would last around a week. Listing the case for review next month, Judge Corinne Philpott QC told the lawyers that the trial would take place next March unless she could find an earlier date.